Told from alternating points of view, this pulse-racing tale from bestselling duo Ally Condie and Brendan Reichs is the start of a high-stakes, thrilling series about friendship and believing in yourself–and each other. 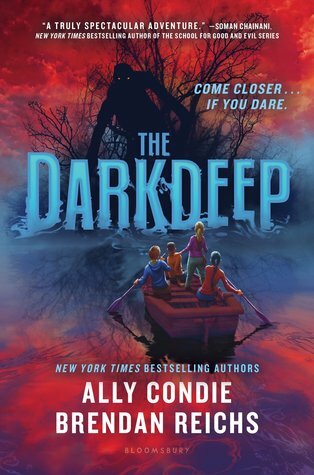 The Darkdeep by Ally Condie and Brendan Reichs is the first book in the new middle grade horror series by the same name. A lot of people are comparing this one to Stranger Things which could be but since I haven’t watched those what it did remind me of is some of Stephen King’s horror but on a middle grade level. The story is one of a group of somewhat misfit kids encountering a group of bullies and of course that bullying leads to their discovery. Nico, Tyler and Emma are out near Still Cove which is off-limits due to all the creepy sightings there over the years. The trio however just wanted to test out their new quad copter they had built when along comes Logan the town bully and his friends, including Opal who used to be friends with Nico’s group. Things of course get out of hand and the drone the kids were so excited to fly ends up going into Still Cove. A rescue attempt leads to one of the group falling over and the rest attempting to help they all find themselves stumbling into more than they ever could have imagined when they find the Darkdeep. Being an adult I know I’m not the intended audience for this story but I have to say I was quite impressed that it kept me entertained just the same. I’m one that often finds horror stories to be a bit of the same old same old having read so many but the ideas in here were interesting and the levels of creepiness just right for the intended audience without going too far. Definitely recommend checking this one out to any age really that enjoys a good scary tale. 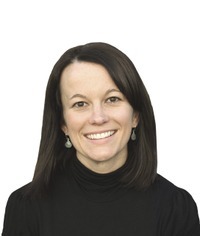 This does sound like a great middle grades series in the making. 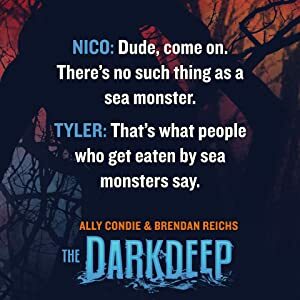 I read the Virals series by Brendan Reichs and thought it was a good one so I am not surprised that you enjoyed this book. Even thought I do not read Horror, I will check this one out to see if I would recommend it to my teacher-librarian friends. Wonderful review Carrie. I like the title of this one too.